Believe it or not, there once was a time when I truly believed that I was born in the wrong time period, that I should have been born in the 50's. As a child, I was in love with "oldies" music, swing dancing, jive and Elvis Presley. Today, I feel differently. Today, I wish I could have been born in the 21st century. With all of the amazing advancements in technology, I am making it a point to live vicariously through my kids and explore innovative ways that students can develop critical thinking skills and demonstrate their learning beyond the traditional pencil-and-paper method. I'm talking about computers and robots disguised as toys, tactile and interactive tools that engage and inspire creativity. They're just so much fun! Take, for example, Bee-Bot the programmable floor robot. Imagine sitting in a kindergarten classroom and your teacher brings out a shiny, brightly coloured toy with big eyes that light up. 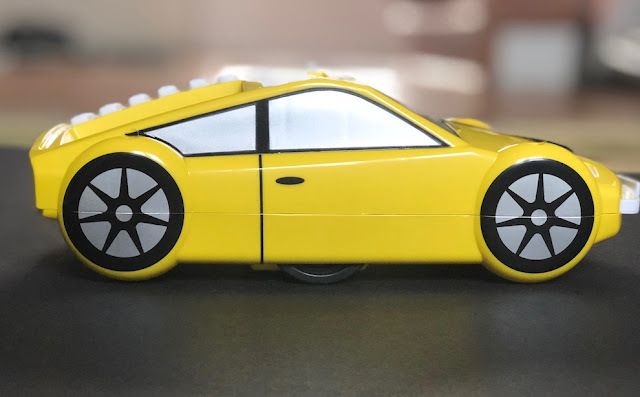 And then to find out that you can interact with this toy and command it to move forward, move backward and turn, while unbeknownst to you, you have created your very own programming algorithm. It's the very definition of awesome! 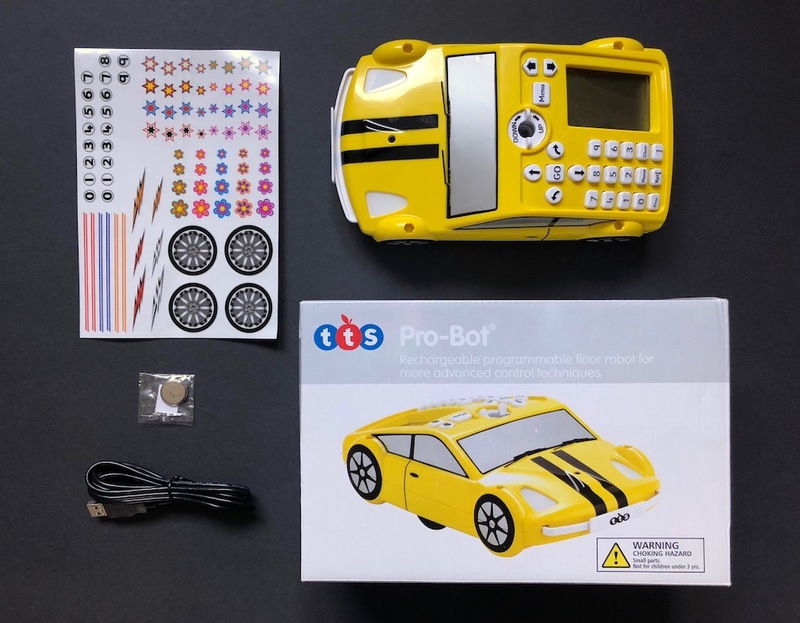 And since we're talking about awesome, I want to share with you another super cool educational tool available from Canadian Classroom - the Pro-Bot. Out of all of the several robotics tools that they carry, this advanced floor robot caught my eye for a number of reasons. First and foremost, it is the perfect tool for unplugged coding. 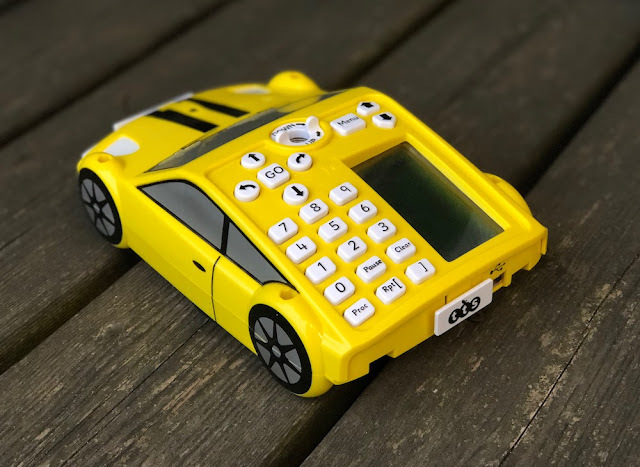 Since it comes with the latest Logo technology, you can program it without the need for a computer or mobile device. This means it's practically ready to go straight out of the box. Just install the batteries, et voilà! One of my favourite features of the Pro-Bot is the ability to draw thanks to its built-in pen holder. By using the PenUp/PenDown toggle command located in the Menu, you can easily turn drawing on and off. This opens up so many possibilities to explore, from drawing shapes and letters, to more complex designs. You don't need any specialized pens to use this feature, although I found that a felt tip marker worked extremely well. The Pro-Bot comes with 3 AA batteries that are rechargeable, as well as a backup battery that powers the memory. This means you don't have to worry about losing your programmes when it is turned off. 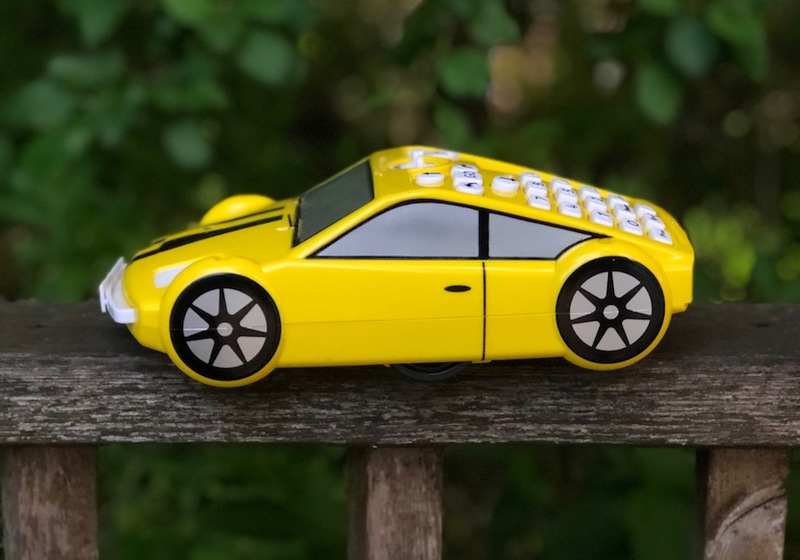 It also includes a set of fun stickers so you can decorate and customize your programmable car. Pro-Bot is currently available at canadianclassroom.com for $195 but schools can take advantage of their bulk pricing and save anywhere from 3% to 10%. This is very interesting - they sure didn't have this when I was in school! Love that you don't need a computer to use this! This is fascinating! My son would love this, I plan on speaking to his school & hopefully his classroom cab get a hold of these!